We want to make the Kehila's website as responsive to your needs as possible. Feel free to comment regarding anything pertinent to shul and shul matters. e.g. Feedback on the website, questions on issues of Judaism, Kashrut, Jewish law, the Parsha or weekly Torah portion, ideas for what the Kehila can do to improve our services, etc. are all fair game. Posts which are deemed to be disrespectful or otherwise unacceptable for public discussion will be removed. What does it mean when we say that today is the world’s birth? Rosh Hashanah does not in fact commemorate the first day of Creation, of Bereshit Bara Elokim et Hashamayim v’et Ha’aretz, when G-d created heaven and earth. No, Rosh Hashanah commemorates the sixth day of creation – when Adam and Eve were brought into existence, and G-d’s creative labour was done. The stage was set for the world to unfold. "Whoever destroys a soul, it is considered as if they destroyed an entire world. And whoever saves a life, it is considered as if they saved an entire world." If a single soul contains the potentiality for an entire universe, then perhaps to understand the world’s birth, we must think about the birth of a child. A child’s birth represents a miracle, and opens our eyes and hearts to the unbounded, limitless potential of life. Our Torah and Haftarah readings are indeed about miraculous births. Rosh Hashanah was the day on which Hashem remembered Sarah and decreed the birth of Yitzhak Avinu, our forefather Isaac. Rosh Hashanah was also the day on which G-d answered Hannah’s call, as she became mother to the prophet Shmuel. A newborn baby comes into the world innocent and helpless. A baby depends entirely upon the power and benevolence of its parents and caregivers to provide the nourishment, protection and love it needs to survive and grow in this world. Our loving parent and sovereign, be gracious to us and answer our plea, for we are bereft of all deeds. In other words, we have no powers or achievements to proffer before you, G-d, simply our selves. Like a child. Throughout our lives growing up and as adults, we seek mastery – mastery of our lives, relationships and careers; we seek control over our homes, our finances, our fitness, our daily ventures; we may even seek, in vain, to control the ones we love. Rosh Hashanah is the time to delicately unwind that control and come at our world anew. What would it be like if we had as little control over our day to day lives as an innocent newborn? How would that change our perspective? Would we look differently at the world around us and all the strange and marvelous things in it? If we depended upon others for all our needs, with what wonder would we regard them? It is a fearful thing to be helpless and vulnerable. Yet that is what Rosh Hashanah asks of us – to recognize our utter deficit in the presence of G-d… to learn to be helpless. And still – we are not newborns. We are not innocent and pure. We have lived lives, achieved significant things, built relationships, made decisions, made mistakes. And we are asked with the arrival of the New Year, to recognize our merits and deficits honestly. This is why Rosh Hashana is also known as Yom Hadin – the day of True Judgment. Our souls stand open before Heaven. מה אנו? מה חיינו? What are we? What are our lives? What are our merits? What are our shortcomings? These are enormous questions which may not be readily answered in one day. That is why Rosh Hashana is in fact part of a process that extends until Yom Kippur, and even afterwards, to do “Cheshbon Nefesh” – an accounting of our active souls. Yet to make this more than just an abstract exercise, I ask you to focus on ONE THING: Choose one aspect of you life that you wish to evaluate and improve. (PAUSE) Think about it. Be conscious and honest with yourself about it. What are you doing well? Where do you struggle? Where do you need the help of others? Where do you need help, support, strengthening from Hashem? We are on a journey of the soul. Each of our souls has its own individual journey. But on Rosh Hashanah, you do not stand alone. You have the company of friends, community, loved ones, and simply fellow Jews around who are sharing in this process of atonement and transformation. We stand together as one, joining in a stream of spiritual consciousness extending back thousands of years of our history. It is told in the Midrash of King David beseeching G-d. He foresaw the day that the Beit Hamikdash would be destroyed. David cried out to G-d saying, Hashem, how can you allows this to happen? Your Temple will be demolished, and the people, G-d, the people will have nowhere to atone for their misdeeds! And Hashem answered him – David, in times of trouble, let the people stand before Me as one. They shall make confession and say Selichot – and I will answer them. During our High Holiday prayers, we chant prayers that sometimes may seem distant and abstract to us. The exquisite wording of the Piyyutim, the many liturgical poems recited on this day, may prove either inspiring to us or seem hard to relate to. This is why I encourage you to reflect on your own life, on that which you wish to change or simply reframe perspective. The words and melodies of the prayers are simply an avenue, and not the only one, to your own process of discovery. Use the time of the Holidays, and the prayers, to help you. When we pray, we call out for fulfilment, in full recognition of our humanity. To be human is to be imperfect. Our Rosh Hashanah prayer is intended as an expression of our incompleteness. We come together to recognize our own humanity, our present and potential goodness, our longing to fulfill our own potential. I invite you today, and for the next ten days, to focus on perhaps just that one thing, that one aspect of your life which you wish to evaluate, improve or even transform... Let us use this time together – this time of prayer, of reflection, of heartfelt honesty, to map our journeys. We’ll let our hearts become a little more open to Heaven and to one another, a little bit more vulnerable, a little readier to achieve our true potential. The Gates of Heaven are open. Our destiny is being determined as we speak. Let us use these High Holidays, this Rosh Hashanah and Yom Kippur, to truly look at ourselves, recognize who we truly are – for better, for worse – and invite Hashem into our life to help transform it – to help us realize our human potential in this world. Tonight we bring in the New Year – Shana Tova U’metuka – may it be a happy and sweet New Year for us all. The themes of Rosh Hashana prayer service, however, are not sweetness and light. Rosh Hashanah is Yom Hadin – the Day of Judgment. How are we meant to respond to this? How can a day of judgment be a day of celebration as well? When we call out to G-d in our prayers, what exactly are calling for? The notion of their being ultimate Judgment – a balancing of the scales – reminds us of the awesome implication of consequences: No action in our lives is inconsequential, no moment is trivial. There is unavoidable meaning to our actions, inescapable significance to our moments. We pray and believe that Judgment is not arbitrary. Consequences are given their existence by our own actions and choices. During the Musaf service of Rosh Hashana morning, we have 3 sections of prayer known as Malkhuyot, Zikhronot and Shofarot. They allude to the mentality we assume during our Tefilah, and our connection to Hashem at this time of Year. Malkhuyot refers to Kingship – the Lord’s sovereignty over the world. Why is this so crucial as to be emphasized on Rosh Hashana? It serves to remind us that, for the purposes of transformation and Teshuva, we depend upon something greater than our mere selves. Hashem’s governance over this world may be difficult for us to comprehend, yet we discern the incredible forces that underlie our daily living… the miracle of our very neshamot, the breath and spirit that infuses our life; the miracle of there being a world around us which sustains us and provides a source for our life. As we recall the Creation of the world being renewed every year upon Rosh Hashana, we are reminded of a Universe which encompasses our lives and those of the generations before and after us. G-d is the Ineffable, in Herschel’s terms, and on Rosh Hashana at the start of the New Year we approach that ineffability, that which transcends us… and marvel at it. Our gaze skyward is meant to inspire us to our utmost potential. Zichronot refers to Remembrances. We cannot move forward unless we understand our past. Zichronot entails the great Remembrances uttered in Torah – and Hashem’s remembering of his People. Our lives as Jews are connected across millennia of generations, from time immemorial to now, and even on into our future. The New Year is a time to appreciate time itself – its passing, its transformations, and our transformations through it. As we remember the great occurrences of our people, so too do we remember the occurrences of our own lives as individuals. We look back with keen eyes in honest judgment of our very selves, what has brought us to this very day, how we too intend to transform and change. By remembering and understanding that which we have experienced, we open our minds and hearts to the possibility of different and new ways of being. And Shofarot refers to the very sound of the Shofar itself. The blast of the Shofar calls us to pay heed with our very senses to the awakening of our souls, to the wonderment of our lives, to the potentiality of our experience. As we sound the Shofar blasts on Rosh Hashana and at the end of Yom Kippur, we reenact once again the gatherings of our people across the ages to hear its blasts, and to celebrate New Years and coming together. The Shofar reminds us of so much: creation, the Torah at Mount Sinai, the admonitions of our prophets to repent, the anticipated and foretold ingathering of the exiles to our Holy Land… and in particular, it signals the solemnity and significance of this Day of Judgment. We believe that the cries of the Shofar also arouse G-d’s mercy to recall the good deeds that we have done, and to enable us to live to our full potential. The process of Atonement which we undergo this time of year is a necessary process. Each year, we are given the opportunity to back away from the Busy-ness of our lives in oreder to consider what it’s all about. We are given free rein to recognize our eminent humanity, vulnerability, mortality – and we do so amid the comfort of friends and community. As Rashi says on Talmud Sanhedrin, “Hashem desires the heart”. This is our time of year to be open-hearted. And if we are together, let us be there for one another. Chazal say that “Anyone who seeks Divine mercy for his friends, and is in need of the same thing, will be answered even before their friend.” And Rabbi Eli Spitz points out that we can forgive others on our own. But we turn to Hashem because we cannot easily forgive ourselves. G-d is the ultimate source of forgiveness. Our work is to find compasssion for ourselves, for others, for Israel. If Rosh Hashana is Yom Hadin - a day of Judgment - it is one where we anticipate G-d’s favour and compassion in our judgment. And this is why we celebrate – we celebrate our own humanity, our potential for change. May we all us this coming Year to become, more and more, the people we are meant to be. Each Pesach we observe the mitzvah of "bedikat chametz" - the cleaning out of chametz, i.e., leavened foods, from our property. The source of this commandment is from the Torah "lo yira'eh lekha chametz" - which translates literally to, there shall be no chametz to be seen/found/present by you. The terminology is pretty exacting - not simply you shall not eat chametz, but that no chametz shall be detected amid you (and your property). 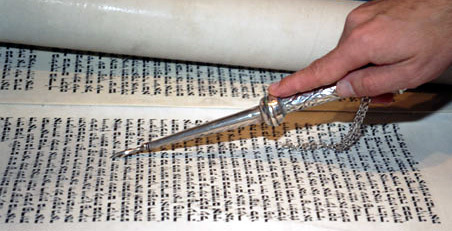 It is the extremity of the wording in the Torah which is the source of the intensity of the laws of Chametz. A strict observance of Torah would have precluded keeping ANY chametz - not only food but any items which could harbor chametz. The rabbis and sages in fact made the mitzvah more manageable through the institution of selling chametz. While some rabbis take a stringent position requiring extreme cleansing of one's property, many chachamim -- who focus on the commandment to observe Yom Tov (holidays) with joy -- say that Pesach cleaning should not be so severe or compulsive as to detract from one's enjoyment of the holiday. So why does the Torah use such extreme phrasing regarding the elimination of chametz at Pesach time? A meaningful interpretation from the chasidic tradition is that chametz is symbolic of that which causes us to become "puffed up" - i.e. prideful, or overfilled. The mitzvah of chametz is reminds us to restore humility - to remember our origins as a slave people - and simplicity in our lives. The comprehensive nature of the Torah commandment thus makes sense; it reminds us how easily we can get lost in the clutter of life, and how wonderful it can be to rid ourselves of that which we don't need, and come back to the sacred essence of our (Jewish) existence. This past week, the United Nations passed a resolution condemning the areas of Judea and Samaria, as well as that of East Jerusalem, as “occupied territory”. The implication of this resolution is that the Western Wall – the most coveted, sacred place of gathering for the Jewish people today – is a place to which Jews are no longer entitled. Similarly, the ancient Israelite cities of Shechem (aka Nablus) and Hebron mentioned in this past week’s Torah reading, Vayeshev, are denied as part of Israel’s heritage or sovereignty. In a dreadful reversal of their established practice, the United States refused to exercise their veto to this hateful resolution. The resolution potentially opens the way to international sanctions against Israel. This past week’s Torah portion, Vayeshev, provides important insight to guide us as Jews in our response to these current events. When the patriarch Jacob shows special attention to his then-youngest son Joseph, it arouses the jealousy of the Joseph’s brothers, who take exception to this unfair treatment. The Torah says, “v’lo yachlu dabro l’shalom” – they could not speak peaceably, or towards peace with him. The word l’shalom is also related to the word “shalem”, which means complete or whole. Joseph’s brothers were so engaged in their rage and envy that they could not even talk with Joseph to make things whole. Rabbi Lord Jonathan Sacks quotes Rabbi Yonatan Eybeshutz in elaborating the idea that dialogue can lead to reconciliation, while the breakdown of speech can lead to violent conflict. This is a repeated theme in the book of Bereshit/Genesis. Yet Bereshit also presents the important counternarrative of reconciliation – where brothers and families come back together, address their most difficult issues, and discover ways to make themselves whole once again. Parashat Vayeshev contains one subtle detail that inspires hope. Bereshit/Genesis 37:25 says of the traders who purchased Joseph as a slave, “a caravan of Ishmaelites was coming from Gilead, and their camels were carrying spices, balm, and lotus, going to take [it] down to Egypt.” What is the relevance of the traders’ cargo? Rashi comments that such a caravan, which could have borne foul-smelling items like tar and resin, instead carried spices to impart a sweet smell to Joseph’s journey to Egypt. What a remarkable and strange detail! A young man is nearly killed and then sold into slavery, and we are concerned about the aroma? Yet here, too, the Torah provides great insight: that Joseph found encouragement, and chose to see G-d’s handiwork, even beneficience, amid despair. After Joseph’s brothers fabricate the report of his death, their father Jacob is inconsolable: “And all his sons and all his daughters rose up to comfort him; but he refused to be comforted; and he said: 'Nay, but I will go down to the grave to my son mourning.' And his father wept for him” (Bereshit/Genesis 37:35). Normally such a consistent refusal to be comforted goes against Jewish principle. Jacob’s longing for his son Joseph is likened to the Jewish people’s longing for the land of Israel, while the return of the Jewish people to Zion is likened to a parent rediscovering a long-lost child. The Hanukkah holiday we celebrate each year serves to remind us of the miracles of our people’s existence, and the lights of the Menorah remind us of our heritage and history, including sovereignty over a Jewish homeland. 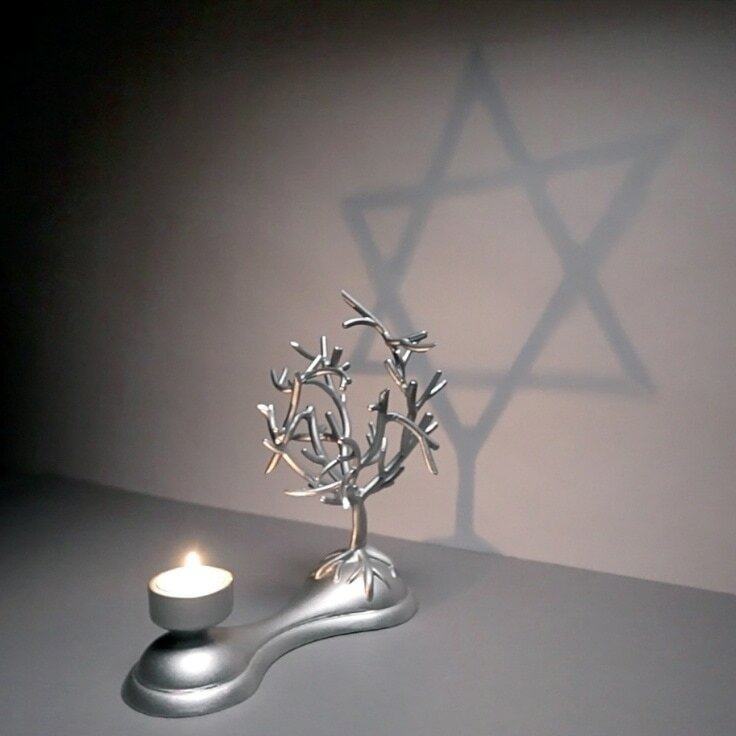 We describe these miracles as occurring “bayamim hahem bazman hazeh” – in those days, just as in this time. Rambam (Maimonides) says that Hanukkah celebrates the restoration of Jewish sovereignty and “return to Israel for more than 200 years” (Mishneh Torah, Megilah v’Chanuka, 3:1). This is in spite of the fact that the period of Jewish leadership following the Maccabees was a time of corruption and evil. Nonethelss, Rambam and the Jewish sages declared Hanukkah, and the continuance of Jewish rulership over the land, worthy of commemoration and celebration for Jews across the ages. Today’s Israel is not a Messianic ideal. It is a real democratic country, home to millions of Jews from across the world, with a revived Hebrew language spoken on its streets and in its courts and parliament. Israel is both a triumph of and an ongoing challenge to the Jewish people: to strive to bring ourselves, our land and world bring it closer to the ideals G-d imparted. The contentious UN resolution stands as a confrontation to Israel and Jews today. Yet we hold fast to our intent to overcome these challenges, and to attain return and reconciliation. Like Joseph, we see the hand of G-d even in the challenges that lie before us, and use all that which is sweet in our lives to inspire us through our trials. May this Hanukkah season continue to inspire us to greatness and bring the light of kedusha – sacredness – into our lives. We are looking for people able and willing to leyn Torah, chant Haftorah, or lead some portion of the service.